This is the first time I’ve ever bought a new BSM album, including going back to her early 60s records. The point? I didn’t expect to be blown away like I was after initially streaming it on NPR. 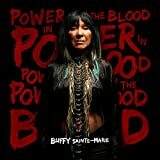 Buffy’s lyrics remain topical, of course, while her voice is surprisingly as powerful as ever; it soars over the modern beats of three producers (mainly Michael Phillip Wojewoda), creating an unexpected, perfect marriage of styles. The woman is glorious! Stephen Duffy returns with TLT’s first album since 2008 with a gorgeous, bucolic effort, seamlessly captivating from start to finish. 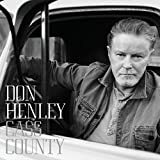 Another unexpected treat, especially since Henley’s solo albums have never done much for me, except for a few songs here and there. For this project, Henley returned to his country Texas roots to fashion an album that could’ve been the soundtrack to “The Last Picture Show”. Poignant and stunning all the way through. The first true horse opera! For fans of the Delmore, Louvin and Everly Brothers! The real Danny Collins, 15 albums in. 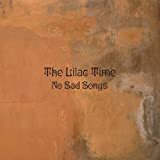 For fans of Jansch, Thompson, et al.